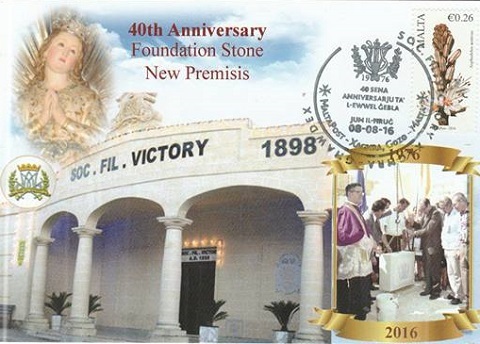 On 8th August, 2016, MaltaPost issued a speacial postmark to commemorate the 40th anniversary since the laying of the first stone of the Xaghra band club. The Gozo Philatelic Society issued the following commemorative postcard in connection with this commemoration. On 9th May, 2016, MaltaPost issued a new stamp featuring Ta' Kola Windmill in Xagħra, Gozo. The Gozo Philatelic Society issued the following commemorative card for this occasion. 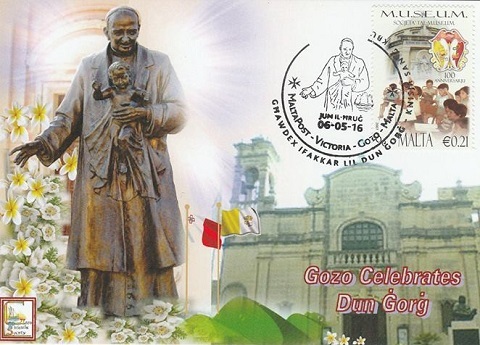 Gozo commemorated San Ġorġ Preca by issuing a special postmark. The Gozo Philatelic Society issued the shown commemorative card with a special postmark in a limited edition of 100 cards. For the occasion of the 100th anniversary of the Maltese Emigrants' Incident, MaltaPost issued a commemorative special handstamp on 9th January, 2016 at the Victoria Post Office, Gozo. As usually, the Gozo Philatelic Society issued the following commemorative postcard. For the occasion of the opening of the Christmas related events in Gozo, MaltaPost issued a commemorative special handstamp on 5th December, 2015 at the Għarb Post Office, Gozo. As usually, the Gozo Philatelic Society issued the following commemorative postcard. On the occasion of the Consecration of Fr. George Bugeja O.F.M, MaltaPost issued a commemorative postmark on 4th September, 2015. The Gozo Philatelic Society in collaboration with the administration of Our Lady of Ta` Pinu national sanctuary issued the below card in a limited edition of 300 cards. On Tuesday, 23rd June, 2015, the Victoria P.O. ended their services at 129, Republic Street, Victoria, Gozo. They are now located at 3, Republic Street, Victoria, Gozo. On this occastion, the Gozo Philatelic Society issued a commemorative card with three handstamps in a limited edition of 100 cards. For the occasion of the 80th Anniversary of the Coronation of the Painting of Our Lady of Ta' Pinu, MaltaPost issued a commemorative special handstamp on 20th June, 2015 from its' Victoria P.O. The Gozo Philatelic Society issued the following commemorative postcard. On 16th June, 2015, MaltaPost issued a new stamp featuring St. George's Feast. The Gozo Philatelic Society issued the following commemorative card for this occasion. This card is a joint issue with the "HEART OF GOZO MUSEUM" in a limited edition of 150 cards. MaltaPost issued a commemorative special Post Mark on the occasion of the 15th Anniversary of the Pagent L-Imsallab fi Triqatna on the 21st March 2015 from its' Victoria P.O. 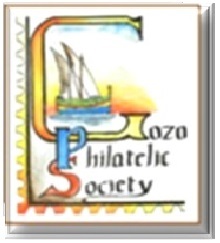 The Gozo Philatelic Society issued the following commemorative postcard.